Gluten Sensitivity: Fact or Fiction? Recently, I’ve had a few customers inquire about the potential benefit of a gluten-free diet. The gluten-free market is supported by billions of dollars in sales, very little science, and a lot of hype. Ultimately, there are very few scientific studies supporting a gluten-free diet for individuals who are not afflicted with celiac disease (gluten intolerance) or wheat allergy. Gluten is protein that is found in wheat and related grains, including barley and rye. Gluten gives elasticity to dough, helping it rise and keep its shape, and often gives the final product a chewy texture. In addition to being found in breads, cereals, etc., gluten is also used in cosmetics, hair products, and other dermatological preparations. There are very few (3) actual gluten-related disorders: wheat allergy, celiac disease, and non-celiac gluten sensitivity (NCGS). In terms of prevalence, About 0.1% of the population has a wheat allergy. Wheat allergy is most prevalent in children between 3-5 years old who have other food allergies. Often, the children outgrow it. Approximately 1% of people in Europe and North America have been diagnosed with celiac disease. Wheat allergy, celiac disease, and NCGS all share the same gastrointestinal symptoms: cramps, bloating, nausea, flatulence, diarrhea or constipation, and abdominal pain, especially after exposure to wheat or gluten. After gluten ingestion, symptoms can present between several hours and several days later. For any person diagnosed with a gluten-related disorder, it is important for them to adhere to a gluten-free diet in order to prevent gastrointestinal disturbances, optimize nutrient absorption (thereby reducing risk of anemia and osteoporosis), and, in the case of celiac disease, reduce the risk of intestinal lymphoma (cancer related to elevated inflammation. Many nutrition experts consider the gluten-free diet a fad. It has also been strongly suggested that the benefit of going “gluten-free” is actually derived from reducing carbohydrates, especially refined grains. A “gluten-free” label does not necessarily equate to “healthy.” People can improve the quality of their diet by substituting baked goods with healthier options, in general. For example, choosing salads and fruit instead of pizza and brownies will lead to an increase in the consumption of essential nutrients and better control of caloric intake. 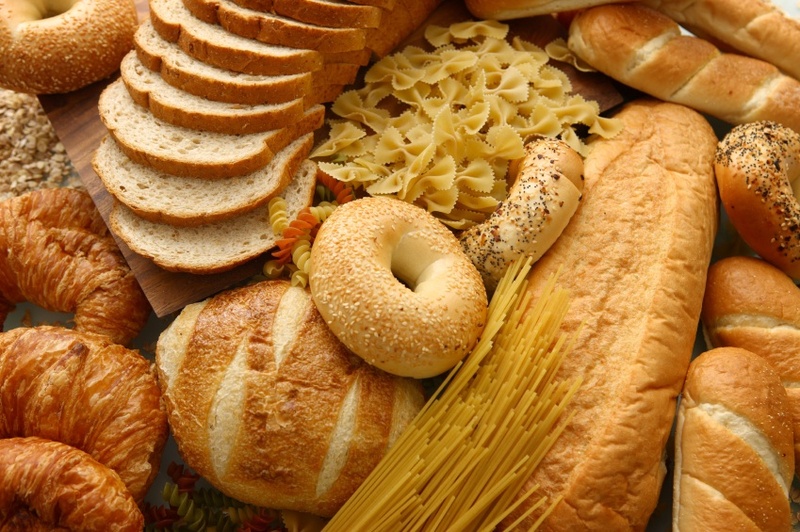 Studies have shown that the gluten-free version of a food is almost always more expensive; food “staples” such as bread and pasta are approximately twice as expensive as the traditional version. A diet that increases energy and focus and helps prevent gastrointestinal distress is appealing. However, there is currently no support for a gluten-free diet in people who have not been diagnosed with gluten sensitivity. Eating a healthy, balanced diet that is abundant in nutrient-rich foods and low in highly processed food will fuel your body for optimal health and athletic potential. If you experience symptoms that are compromising your performance, you may consider getting tested for gluten sensitivity and other minor allergies/intolerances/sensitivities. Don’t be too quick to jump on the gluten-free “bandwagon.” If you want to “clean up” your diet, start by reducing/eliminating processed foods, refined grains, food with added sugars and saturated fat. Eat whole grain/high-fiber carbs; lots of fruits and veggies; unsaturated fats; and lean protein. Maintain a reasonable daily caloric intake, based on your target weight and activity level.